San Francisco (January 18, 2017) – Sundance Institute and the Dolby Institute, along with the Ray and Dagmar Dolby Family Fund, announced that “Mudbound”, co-written, directed, and executive produced by Dee Rees, has been selected as the 2017 recipient of the Dolby Family Sound Fellowship. This fellowship provides a range of post-production resources to enable the recipients to fulfill the creative potential of their films’ soundtracks. Chosen for its creative and unique soundscapes and sound design potential, “Mudbound” will premiere at the 2017 Sundance Film Festival at the Eccles Theatre in Dolby Atmos on January 21, 2017 at 6:30 p.m. MT. Dolby Atmos is an award-winning technology that breathes life into storytelling by allowing filmmakers the creative freedom to place and move sound anywhere in the theatre, including overhead. This is the fourth year in a row the Eccles Theatre will premiere a Dolby Family Sound Fellowship-winning film featuring a Dolby Atmos soundtrack. The Eccles received a permanent Dolby Atmos installation in 2015, making it the crown jewel for Sundance Film Festival premieres. 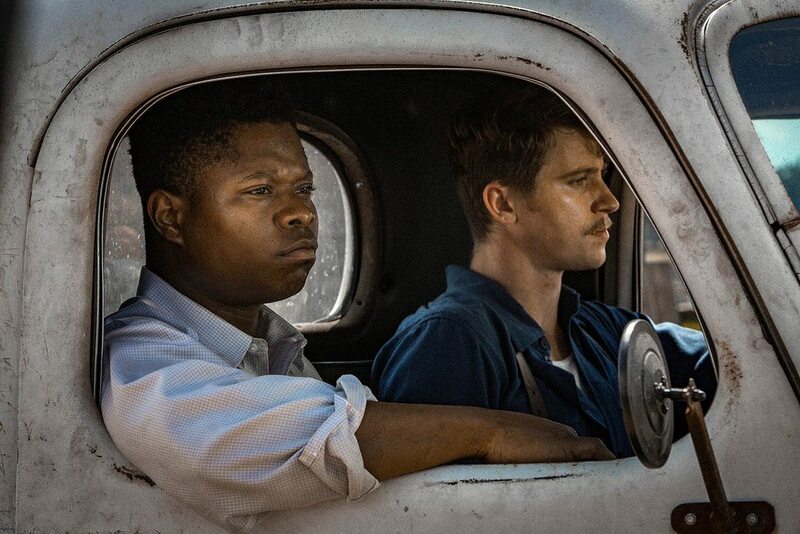 Set in the post-WWII South, “Mudbound” is an epic pioneer story of two families pitted against a barbaric social hierarchy and an unrelenting landscape as they simultaneously fight the battle at home and the battle abroad. The film is about friendship, unacknowledged heritage, and the unending struggle for and against the land. Newly transplanted from the quiet civility of Memphis, the McAllan family is underprepared and overly hopeful for Henry’s grandiose farming dreams. Laura struggles to keep the faith in her husband’s losing venture. Meanwhile, for Hap and Florence Jackson, whose families have worked the land for generations, every day is a losing venture as they struggle bravely to build some small dream of their own. The war upends both families’ plans as their returning loved ones, Jamie and Ronsel, forge a fast, uneasy friendship that challenges them all. Sundance Institute and the Dolby Institute collaborated on the film-vetting process; a committee made up of members from both organizations with the help of leading sound designer Craig Henighan (“Deadpool”, “Black Swan”) selected the winning film. The “Mudbound” team has used the grant to create a Dolby Atmos sound design and mix. The soundtrack was helmed by sound supervisor Damian Volpe, scored by Tamar-kali, and mixed in Dolby Atmos by both Damian Volpe and rerecording mixer Rob Fernandez. In addition, Dolby will host a case-study discussion for creatives at the CineTransformer space at this year’s Sundance Film Festival. “The Sound of Mudbound” panel will take place on January 22 at 4:00 p.m. In this discussion, “Mudbound” cowriter, director, and executive producer Dee Rees joins her composer Tamar-kali, sound supervisor and rerecording mixer Damian Volpe, rerecording mixer Rob Fernandez, dialog supervisor Tony Martinez, and music editor Nancy Allen to present clips from the film. They will discuss the remarkable use of sound design and score to take the audience on a transformative emotional journey from the European battlefields of World War II to the rain-soaked fields of rural Mississippi. The Dolby Family Sound Fellowship at Sundance Institute was launched at the 2014 Sundance Film Festival. Fellowship awards range depending on the needs of the film chosen, with the flexibility to use the grant at varying stages of sound postproduction in whatever way best impacts their film. Opportunities include augmenting studio time for sound design, music recording, mixing, or remixing the film in Dolby Atmos. Recipients also receive a myriad of in-kind support services, with the opportunity to work with leading industry experts and Dolby-supported teams at professional mixing facilities. This year’s fellowship also supported the Sundance Institute’s programmatic and administrative costs to identify, nominate, and select the fellowship recipient. Last year’s recipients included Daniel Kwan and Daniel Scheinert’s “Swiss Army Man” and Taika Waititi’s Hunt for the “Wilderpeople”. Launched at the 2013 Sundance Film Festival, the Dolby Institute has the mission to engage and educate artists and filmmakers on the importance of sound to the overall film experience and to invite filmmakers and artists to think critically about sound from the very beginning of the creative process. The institute works directly with filmmakers and artists at leading film festivals, labs, and related events. Since its inception, the institute has brought together emerging artists and award-winning audio veterans and masters of the craft to offer concrete tools and advice on ways to make a story more vibrant with sound. Dolby Institute Director Glenn Kiser, the former vice president and general manager of Skywalker Sound, has been working at film festivals, universities, and film schools—wherever filmmakers gather. Founded in 1981 by Robert Redford, Sundance Institute is a nonprofit organization that provides and preserves the space for artists in film, theatre, and new media to create and thrive. The institute’s signature labs, granting, and mentorship programs, dedicated to developing new work, take place throughout the year in the US and internationally. The Sundance Film Festival and other public programs connect audiences to artists in igniting new ideas, discovering original voices, and building a community dedicated to independent storytelling. Sundance Institute has supported such projects as “Beasts of the Southern Wild”, “Fruitvale Station”, “Sin Nombre”, “The Invisible War”, “The Square”, “Dirty Wars”, “Spring Awakening”, “A Gentleman’s Guide to Love and Murder”, and “Fun Home”. Join Sundance Institute on Facebook, Instagram, Twitter, and YouTube. Tags: Sundance Film Festival, Dolby Atmos, Dolby Laboratories, Dolby Institute, Sundance Institute, Dee Rees, "Mudbound"